Just included in the Top 10 Best 2016 Destinations defined by Ethical Traveler and in the Adventure Tourism Development Index (ATDI), the country has gained in ranking. The 2015 report on the ATDI, compiled by the Adventure Tourism Trade Association (ATTA) places Mongolia in the highranking cluster of countries. Mongolia evokes images of wide open spaces of grasslands and the famous Gobi desert, of an ancient horse culture, nomadic lifestyle and of course of horseback armies that established the largest empire the world has ever seen, after Chinggis Khaan united the Mongolian tribes. Having long been portrayed as a cruel conqueror in Western history records, more recent scholars paint a different image. For an interesting read in English language about Chinggis Khaan (spelled Genghis Khan in many Western countries), consider Jack Weatherford's "Genghis Khan and the Making of the Modern World." The author provides interesting insights - "In nearly every country the Mongols conquered, they brought an unprecedented rise in cultural communication, expanded trade, and a blossoming of civilization. Vastly more progressive than his European or Asian counterparts, Genghis Khan abolished torture, granted universal religious freedom, and smashed feudal systems of aristocratic privilege." Ulaanbaatar with its stark contrasts of a modern inner city with high end shopping venues and sprawling outskirts where over hundred thousand households dwell in small houses and gers, the traditional felt tents, reflects the contrasts of the country. A mining boom in the last decade had accelerated annual growth of GDP into double digits, with over 17 % at its 2012 peak, followed by a sharp decline in the last three years due to falling commodity prices and expected to rebound in 2016. 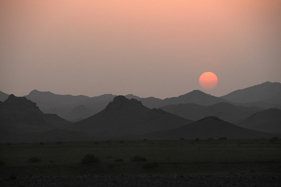 While climate change is having a great effect on the country, and mining and infrastructure development are impacting local areas around mine sites and transportation corridors, Mongolia's vast territories still offer the greatest intact grasslands in the world, with the migrations of the largest wildlife populations in the world. 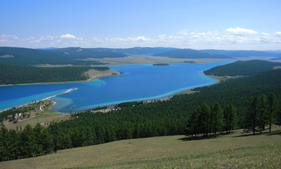 An expanding network of Special Protected Areas under national government management as well as local protected areas managed by communities and local government are one conservation strategy employed to counteract development and to preserve the ecological and cultural values that are also the corner stone of the great tourism potential Mongolia has. In recent years, government policies are paying more attention to developing tourism to diversify the economy, and the country is presenting itself to the world as a destination for experiential travel, green tourism and adventure. The adopted slogan, developed for the 2015 ITB in Berlin is "Nomadic by Nature" - drawing on the two key values - the great nomadic civilization and tradition that is alive in the steppes, and the amazing natural landscapes spanning from Gobi desert in the South to mountain wilderness in the North. Mongolia is in the heart of Inner Asia where the horse-human connection reaches back more than 5,000 years. The horse in Mongolia is honored, its spirit evoked as representing the soul and strength of a human, and there are about 7 million horses in Mongolia today. The Mongolian horse is of great genetic diversity, this tough breed has influenced many horse breeds worldwide. Exploring the amazing landscapes of Mongolia on horseback seems the logical mode of travel in this country of horsemen and nomads. Except in the Gobi desert, where the camel is the better animal for transport. 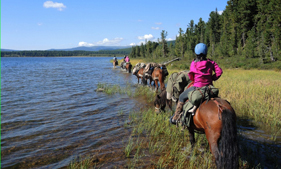 Bringing wilderness and cultural experiences together, offering horseback travel and the opportunity to contribute to the wilderness preservation, the "Wilderness Conservation Adventure" by Stone Horse Expeditions is a unique Mongolia adventure. With 30+ years' experience in wilderness travel and professional careers in conservation and park management, the owner-operators of Stone Horse Expeditions, husband and wife team Keith Swenson and Sabine Schmidt, are long-term residents of Mongolia where they have forged close ties with local communities. 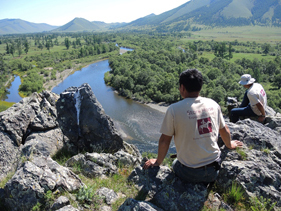 For the Wilderness Conservation Adventure, the Stone Horse team of Mongolian staff and the owners themselves work closely with park authorities in addressing conservation needs. Guests on this horseback adventure take part not only in a great horseback expedition into the Khan Khentii Wilderness, the ancient homeland of Chinggis Khaan; they also actively participate in environmental work. The 2015 Wilderness Conservation Adventure saw the Stone Horse Expedition team ride and work with park rangers at the remote and scenic "Hagiin Har Nuur" - Black Lichen Lake. The Khan Khentii mountain wilderness is a Strictly Protected Area for its wildlife and ecosystem values. It is habitat for moose, bear, deer and other species and it is key watershed for the capital city's water supply. Deep in its mountain wilderness are also the ruins of what once was the center of Mongolian Buddhism. 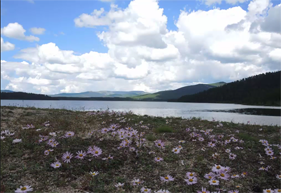 The Khentii Mountain expedition explores this fascinating and scenic wilderness. On the approach to the remote wilderness lying behind an alpine mountain pass, the expedition travels through the cultural and picturesque landscapes of the Gorkhi Terelj National Park, shaped by nomadic livestock husbandry. A great Mongolia adventure that has it all - stunning landscapes, amazing horses, cultural experiences, and the opportunity to make a contribution while enjoying premium wilderness travel on horseback.